If 3 million people in the Twin Cities metro each purchased a Metropass at $76/month, that would be $228 million/month or $2.736 billion per year (about 9 times the current annual budget). (Brian Lamb would be very happy). This is highly unlikely on a voluntary basis, the evidence for which is that we have not yet seen it. According to MnDOT (2013 p. 121),total budgets are $301 million per year on Metropolitan Council systems for bus and LRT (excluding other services), so really ($301M)/($76*12) = 330,000 pass-holders would be required to cover existing costs. This is just an order of magnitude estimate, and certainly high since while a large (but unknown) fraction of existing riders are essentially daily riders, others are more infrequent riders and would still pay fares rather than get a pass. The problem is that there are not 330,000 daily or near daily users of the system,instead there are 267,700 daily trips for Metro Transit, and a few more for the opt-outs. Presumably about half that many persons ride daily, assuming mostly round trips, and one-trip per day. This is further complicated by transfers, but this is a blog post not a journal article. Working this problem in reverse to cover $301 million dollars in expenditures from 267,700 rides (assuming round trips and no transfers) requires $2,250 per person per year, or $187 per person who rides per month. But if fares increased to the equivalent of ~$3.10 per trip (at 60 trips per month), there would be fewer users. If users were now paying $2.25 per trip in fares (two-way peak) and it increased to $3.10, that is a 39% increase in effective user prices (though this is complicated by switching from an out-of-pocket fare payment to a monthly pass). At an average fare elasticity of -0.4 (as per this report), we would expect a decrease in ridership from 133,750 travelers per day to 114,000. Total revenue from 133,750*(1-0.15) persons at $187/month would be ~$255 million per year. Nevertheless, if Metro Transit could reduce costs by $46 million = ($301M – $255M) without reducing service, yay! That is however unlikely, and we see aspects of the transit death spiral in place: Fewer riders -> Less revenue -> Reduced Service -> Fewer Riders. This might be self-limiting, as the weakest services affect the fewest number of riders. Alternatively, we could just keep raising prices until we reached equilibrium. This reduces revenue and thus requires a rate increase, which further reduces riders. This is also self-limiting, and in this scenario the system ridership drops to just over 100,000 persons per day (200,000 trips per day) at an annual Metropass rate of $2988. Maybe riders are not paying on average $4.50 per day. A current farebox recovery ratio of 0.31 suggests riders are not in fact paying an average of $2.25 per trip. Instead, I estimate it is about $1.91 per day or $0.95 per trip equivalent. Certainly some riders pay “full freight”. Other have passes (and use more than the average number of trips that a pass is equivalent to), ride in the off-peak, or otherwise have discounts. Thus increasing to $3.10 for everyone would be more than a 40% increase for some. In this case, we would need to increase fares from $1.91 per day to $6.17 day, a 223% increase. If riders actually were expected to pay this, ridership would drop about 90%. Then to continue full service (though why would we? ), we would need to increase daily rates to $56.22. This would reduce ridership to about 0. This is the full transit death spiral in action. (There is a middle ground, retrenching service to that which is profitable, which would lose riders and service, but hopefully lose more costs than revenues). Clearly we cannot uniformly more than triple real transit fares as paid by patrons and expect the current set of riders to pay that. A plausible policy would argue for “equity subsidies” to cover the difference for groups that society wants to provide aid to rather than discounting fares for everyone alike. The greatest consequence of an effective fare increase to cover 100% of operating costs would be on the poor. One strategy (which appeals to my libertarian and rationalist sensibilities) for dealing with this problem is the negative income tax (endorsed by both Milton Friedman and the US Green Party), i.e. give the poor money to spend as they choose. There are some public policies which do this (Earned Income Tax Credit), but nothing so blatant as systematic cash handouts. One of the concerns is with incentives. If we just gave people money for being poor, wouldn’t we get more poor people? The other concern often raised is one of financial responsibility. Some people are poor temporarily due to bad luck or circumstance. Others have trouble with financial management and just giving money would not help. The next best is to give transportation vouchers to the poor to spend on transportation as they choose. The risk is that the poor with the transportation voucher might find buying a car or gasoline is a better decision than riding transit, especially if their jobs and homes don’t align with the network. While this is presumably better for the individual traveler (why would they allocate their resources that way if it weren’t), it doesn’t help the transit agency or other travelers, as it weakens transit service by removing the positive externality they would otherwise generate, and adds to congestion on roads in the short run. The third best (and the best for the transit agency itself) is to give poor people pre-paid or discounted transit passes to spend on public transit. The worst solution is to subsidize transit for all riders. This needlessly reduces the resources available to operate the transit system, and keeps transit agencies in the subservient position of having to beg for money on a regular basis rather than being fully funded by their users. Presently, the “budget” for subsidies for the poor comes from the transit agency. I would argue that the budget for negative income tax, transportation vouchers, or transit vouchers should come from general revenue, as the primary objective is to help individual people, not transit systems. However, that said, I don’t think ~$8/day is an “unreasonable” or “immoral” fare for an unlimited use transit pass (or even $4 per trip for 2 round trips per day), though it is on the high side of rates for world cities (and certainly above average for US cities). 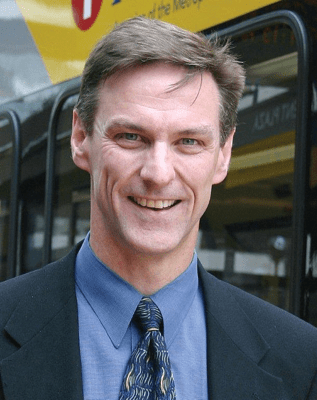 If poor riders were subsidized some large fraction of the difference between current fares and the new fares, it could produce a farebox recovery rate of about 100% (depending on actual fare elasticities), compared to the 31% Metro Transit has now. Toronto charges $3 each way for a single fare purchase, and $128.50 (1 Canadian dollar = 0.99 USD) for a monthly Metropass. Farebox recovery rate for TTC is 63%. Vancouver charges $2.75 for adults one way, one zone, and $4.00 for two zones. Passes are $91 for one zone and $124 for two zones. The farebox recovery rate for Vancouver is 52%. London charges a rail fare of £4.50 for adults one way (though only £2.10 for users of Oyster cards), for just zone 1 (the center of the region). The Annual travel card for zones 1-6 (excluding the exurbs) is £2,224. The current pound to dollar exchange rate is 1 USD = 0.64 British pound sterling, so the travel card equivalent is $3,458. Buses are cheaper. Farebox recovery rate for London is 50%. A list of prices in various cities is at priceoftravel.com. Another list is at MSN. A perhaps more important point is that Canada has a higher farebox recovery rate than the US, better transit, and higher transit mode shares. What are they doing more right than the United States? The competitive environment for transit limits how high rates can go. In cities with a greater dependence on transit (and greater inconvenience for driving), transit agencies have more latitude to raise fares. The political environment also matters, and it may be simpler politically to subsidize rides for everyone, not just those who need it. Lowering costs can also increase farebox recovery ratios, by lowering the denominator (expenses) instead of raising the numerator (revenue). As noted before, transportation costs too much, so there are probably a number of possibilities for reducing expenses. There are a lot of policy alternatives for fares between $4.50 and $8.00 day, there is no magic number. Until transit is again privatized without subsidy there is no requirement for 100% fare recovery. It would almost certainly be a bad idea to do this kind of change overnight, large systems need transitions. Still, raising base fares should be on the table to give transit agencies more operational independence and to reframe their status from [whatever it is now] to what it once was and will eventually be again, a public utility providing a service in exchange for consideration. Great cities have great transit and their users pay more for it. (Yes drivers should pay full cost too, I have written about this sufficiently, get off my lawn).